Doesn't time fly when you're modelling a wrecked building? Welcome to part four of this seemingly never ending build. You can catch up with what I have done so far in PART ONE, PART TWO and PART THREE. Also check the inspiration for this at Ninjasaurus Rex's BLOG. I turned my attention to the interior and the rubble on the bottom floor. I neatened up all the painting, using brick red for the rubble. I then washed the entire thing in Green Grey by Vallejo. This was dark enough for contrast but not too dark to be black. I also washed the walls with the same colour and left it all to dry. Further weathering was needed for the walls, the wash looked OK, but I wanted a dusty appearance. This would be done with weathering powders. Rather than spend a small fortune on commercially produced ones, I followed Ninjasaurus' lead and made my own. It is literally a mix of tempera paint of the correct colour with Plaster of Paris. The plaster will lighten the tempera, so bare this in mind if you make your own. I used black pain and got a grey colour. I wanted grey anyway, as it's the right shade for dust. And the other walls, all done in the same way. You can't really see in the picture but the powder gives the walls a 3D appearance which can't be done with the wash alone. Ninjasaurus did tell me after all this that he didn't even wash the walls in his building and just applied the powder. I will try that with the next building I make. Once this was all dry, I washed the walls in Green Grey again and left it to dry. This was just the right shade to dull down the bright paint. And the rear. I then gave the whole thing a liberal spray of matt varnish to fix in the powders and left it to dry. After the varnish had dried, I started on the final rubble additions. This started with making a mix of the grey rubble I had made earlier (detailed in PART THREE of this build), along with a red rubble made using the same process, but using Burnt Vermilion tempera paint instead of black. Using PVA glue painted into the corners of the interior and around the edge, the rubble mix sealed the gap between the building and the floor. Plus it gave an extra dimension to the rubble already in there. Nearly there now! Remember the broken floorboards I made all that time ago in PART ONE? Well, they finally got used! I glued them in to the bottom of the building. As this will be used for gaming with I laid them as flat as I could. I know it's not one hundred percent realistic, but it is more of an indication of rubble than anything else! I then sprinkled some finer rubble mix over the top of the beams, to show further rubble collapse and it was finished! It took about three weeks in total to complete, but not all of that time was spent on working on the model. Overall, I am pleased with how it turned out, especially the rubble and weathering processes. However, one thing I should have done is glue the walls into place before starting, that way I could have worked on covering the corner joins properly. Plus I won't put untreated rubble in the base like I did with this one, as some of the undercoat could be seen through it. Now I have a couple of tubs of ready made rubble things should be a lot faster! have three more of these buildings to make, so that knowledge will definitely come in handy with those ones! 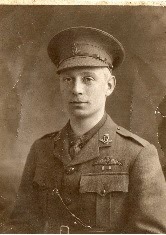 Today is also 100 years to the day that Lt Harvey -Kelly had the honour of being the first RFC pilot to land in France at Amiens. He beat his squadron commander (Major Burke) to the title by two minutes by flying across country rather than navigating by the rivers. His was the first of about 60 aircraft that were attached to the BEF to fight Imperial Germany.